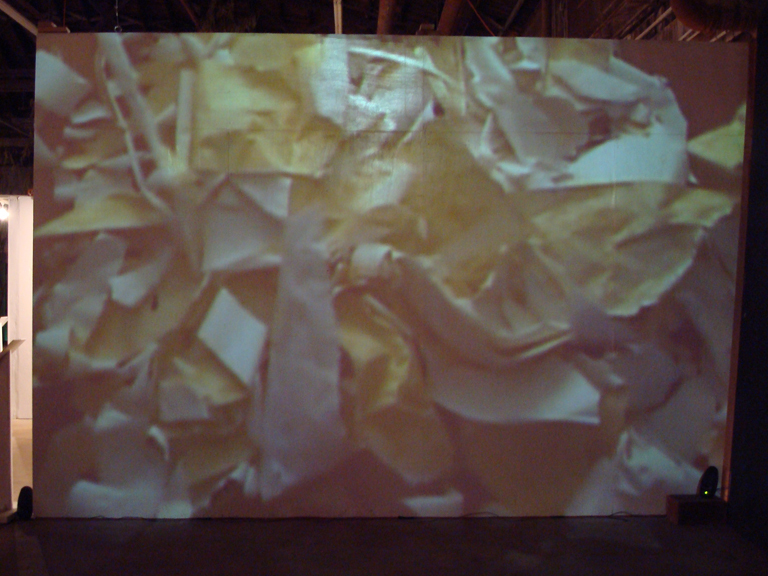 Using Video, Sound, Wallpaper, Plywood and Mixed-Media Objects I directly engage the taboo subject of Mental Illness. The sound reveals the phenomenon of Auditory Hallucinations as experienced in episodic Schizophrenia-- to hear a conversation that is "not there." I incorporate the use of wallpaper as a metaphor for being medicated. Plywood walls covered with yellow colored wallpaper-- reference the short story written by Charlotte Perkins Gillman titled, "The Yellow Wallpaper" linking past and present attitudes toward women's mental health. The action of taking down the Installation-- detaching the walls and sawing them into pieces so that they become material artifacts of something that was but is no longer suggests the possibility to take control over something as debilitating as Schizophrenia. 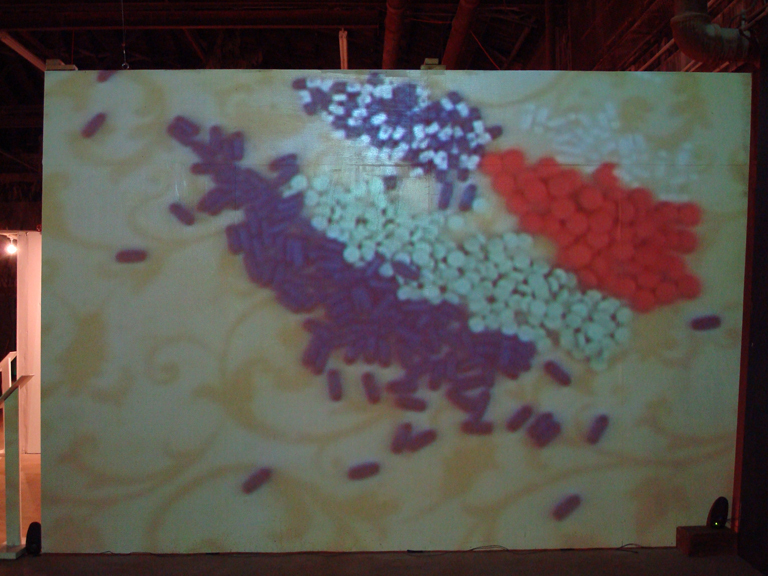 In the video the use of transitions are meant to reinforce the transit between reality and delusion; illness and recovery. Walls signify the separation between the subconscious and the conscious mind.